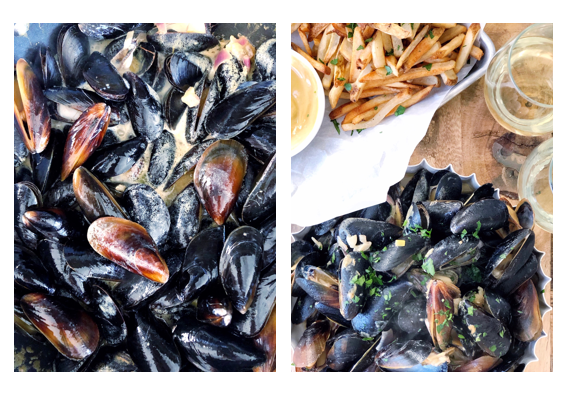 When you’re in France, you’ll often see moules frites on the menu – mussles with fries! A la moutarde is my favorite, I think the sauce just tastes the best! So, that’s what we’re working with here today. 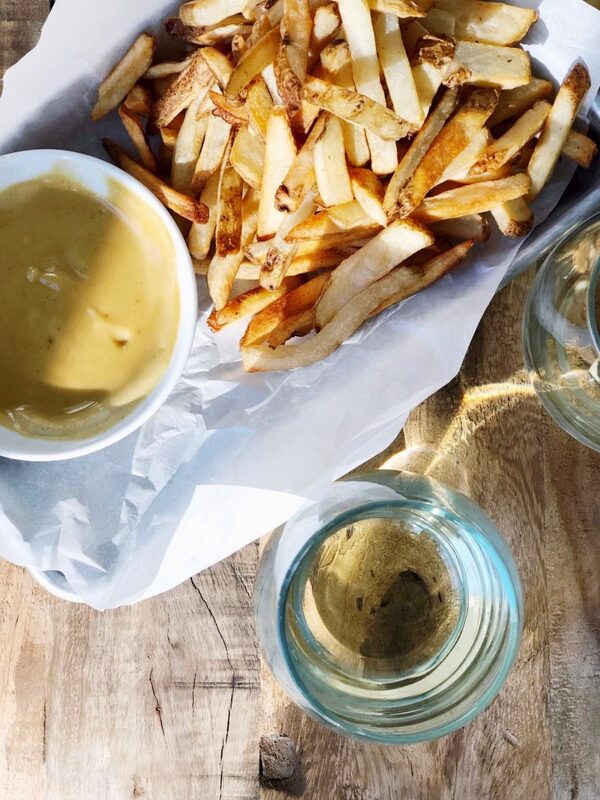 Dijon mustard, butter (of course) and some white wine. Okay, some garlic and parsley to garnish, too. But really, such a genuinely simple sauce. And the smell….it’s just heavenly. I do love the smell of wine in a sauce, though! 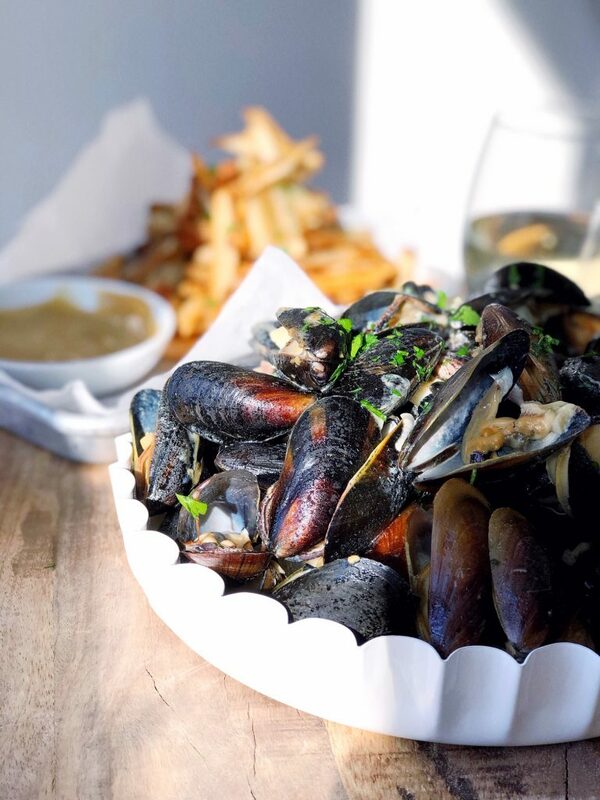 Mussels, like basically all seafood, pairs best with white wine. You know the traditional wisdom here – use a wine you would drink when you’re cooking with wine. 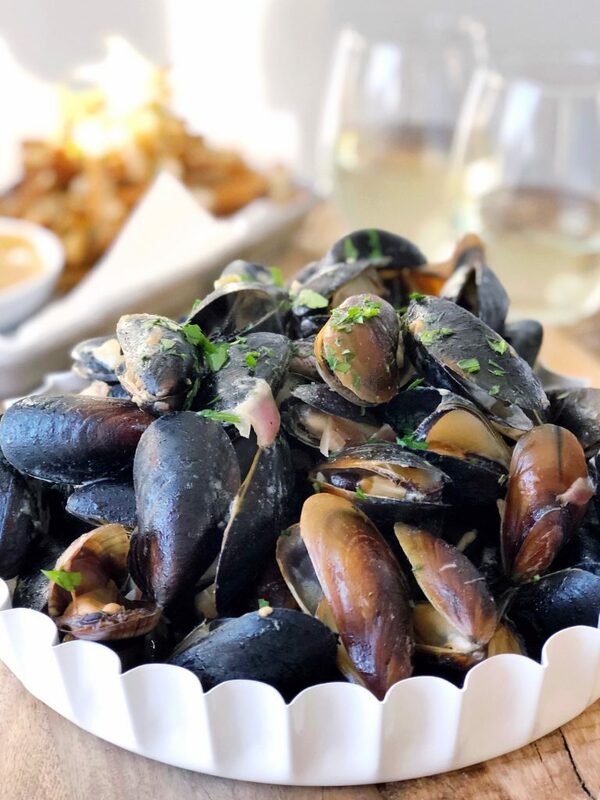 Let’s take it one step further and use the wine you will serve your mussels with in the actual sauce! It makes the whole experience that much better. Promise. 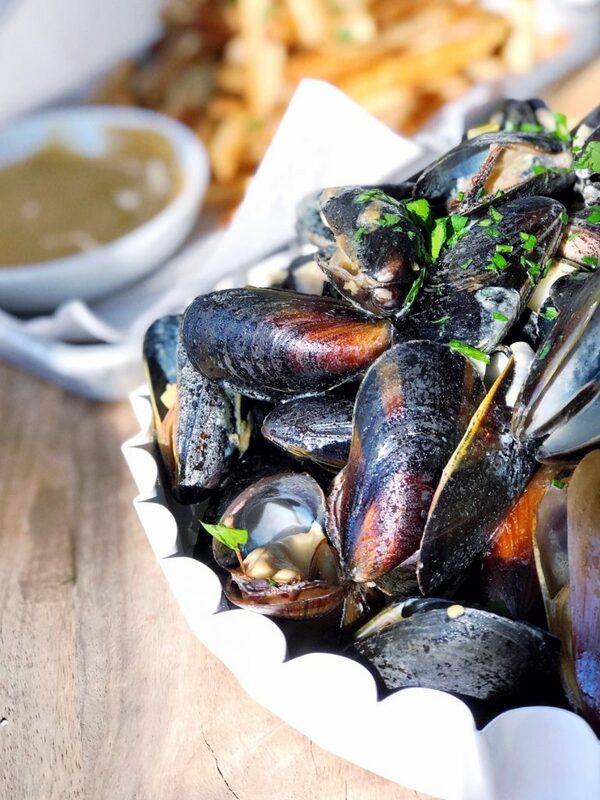 This sauce packs so much flavor, the wine scenting the dish so perfectly and the butter and mustard working with the mussels for a dip-your-bread-to-sop-it-up worthy dish. If you don’t have saffron or it’s out of your budget, just leave it out! Add shallots, garlic, thyme and cook over medium low heat for 1-2 minutes until shallots are softened and fragrant. Add the mustard and wine, stirring to combine. Bring sauce to a boil, cover with a lid and then allow to simmer over the lowest heat for about 5 minutes. Taste for salt & pepper and adjust as necessary. Set aside the sauce for a few hours at room temperature; bring back to a boil when you are ready to use; or continue. Scrub and de-beard mussels, if necessary. Bring sauce to a boil, drop in the mussels and place a lid over for 2-4 minutes or until mussels are cooked (open). Discard any mussels that did not open, serve immediately. Saffron can be left out of this recipe if desired. Inspect mussels for any broken mussels and discard prior to cooking. 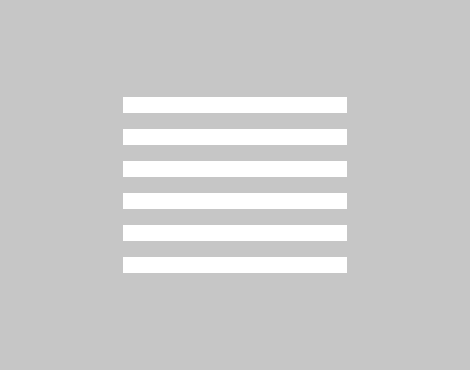 If any mussels do not open, discard before serving.